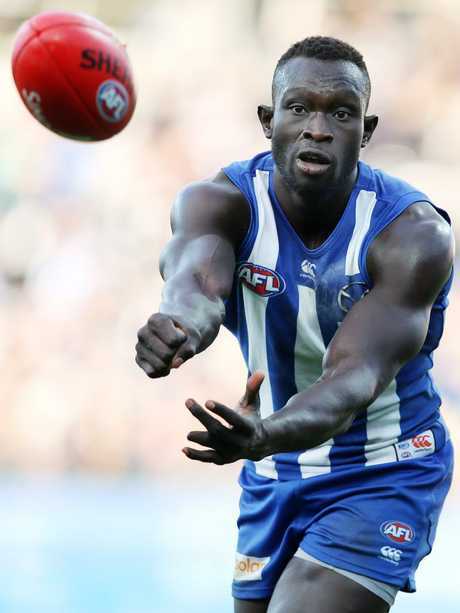 AFL star Majak Daw is recovering in hospital after a serious incident on the Bolte Bridge last night. Emergency services rescued North Melbourne player Daw, 27, who was found in the Yarra River at the Docklands, just west of Melbourne's CBD, about 11pm last night. Daw is believed to have suffered a broken hip in the fall but did not suffer life-threatening injuries. While having played only 50 games in eight years, Daw is coming off a breakout season after being moved to defence by North Melbourne where he averaged 5.3 marks a game, including two nominations for mark of the year. 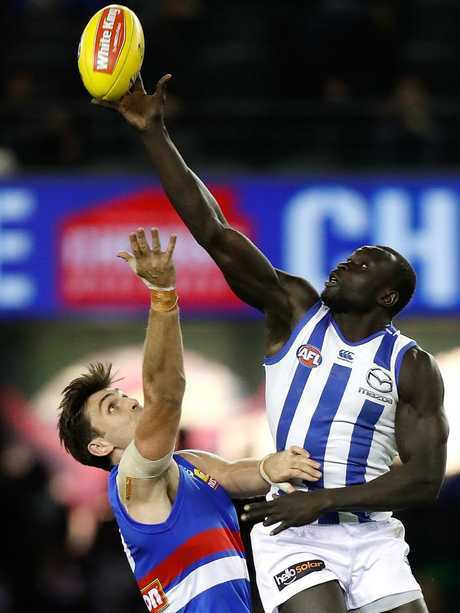 The first Sudanese-born footballer to play at AFL level, 195cm Daw has been a slow burn but is now viewed as one of the better intercept players in the game. Daw and his family were refugees from war-torn Sudan and his AFL story has gained world coverage, particularly a game this year where he and a fellow Sudanese player in Aliir Aliir of Sydney went head to head at Marvel Stadium in a stunning display of athleticism. An Ambulance Victoria spokeswoman said he was now in a stable condition recovering at the Royal Melbourne Hospital with non-life threatening injuries. 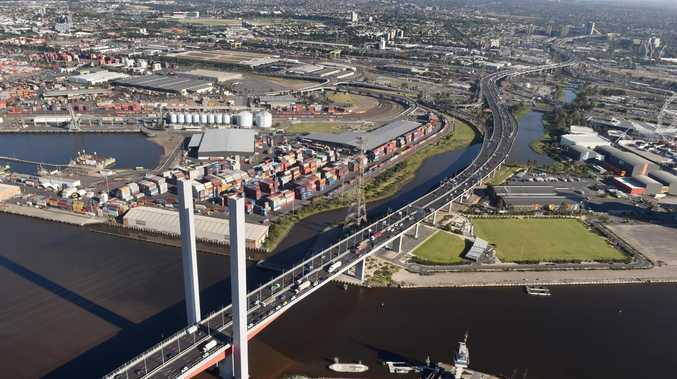 Police spokeswoman Leonie Johnson said officers responded to an incident on the Bolte Bridge, near Lorimer Street. The Herald Sun has made contact with Daw's manager, who said the club would be releasing further information in the coming hours. He did not train yesterday.